I operate Rapid Roy’s, the Shell station on your property in North Conway, NH. I have just renewed my lease for Year 2, and wanted to take this opportunity to share with you my experience as a first-year CN Brown leasee. My husband and I came into this business last year from a combined 50+ years at Hannaford, both in retail and corporate, so the grocery part of the business was second-nature to us, but fuel was completely new. I’ll also admit that I came in with the “Corporate mindset” that you always have to be vigilant, because a big company will try to make money at someone else’s expense whenever possible. I scrutinized everything for hidden clauses and hooks. 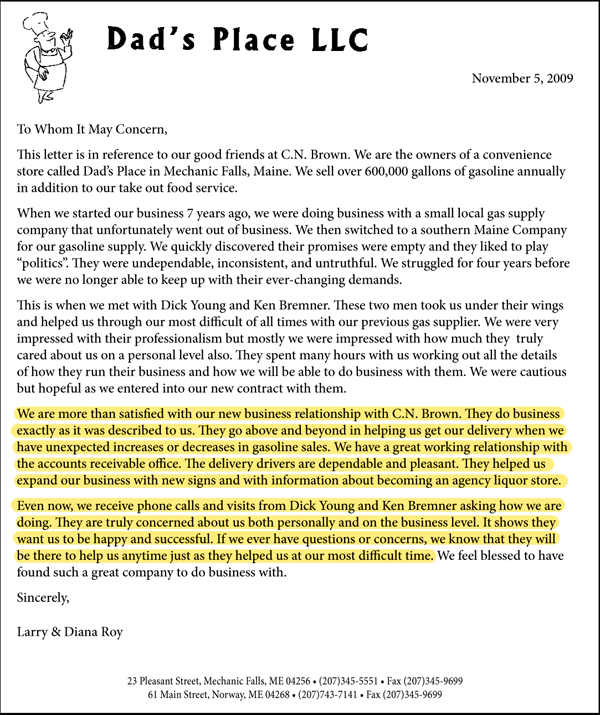 I’m sure I was a thorn in the side of several people at CN Brown in the beginning, yet everyone was patient and helpful. Foremost among your ranks in bringing me on board with CN Brown was Richard Young. You absolutely have a jewel there. He spent many hours answering questions and assuring me that CN Brown is a company that still has good morals. After the lease signing, I was sure we’d be left on our own, but no: Richard visits every week and genuinely cares how we’re doing. When we have any kind of an issue, from billing to maintenance, we tells us to call him and he’ll make sure it’s taken care of. 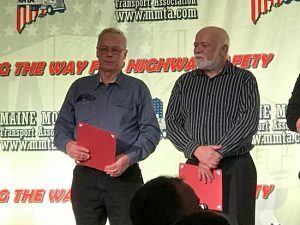 He has taught me a lot about the industry, given us great ideas that have helped improve revenue, and is always there with a word of encouragement when it’s needed. He’s truly a person I trust. 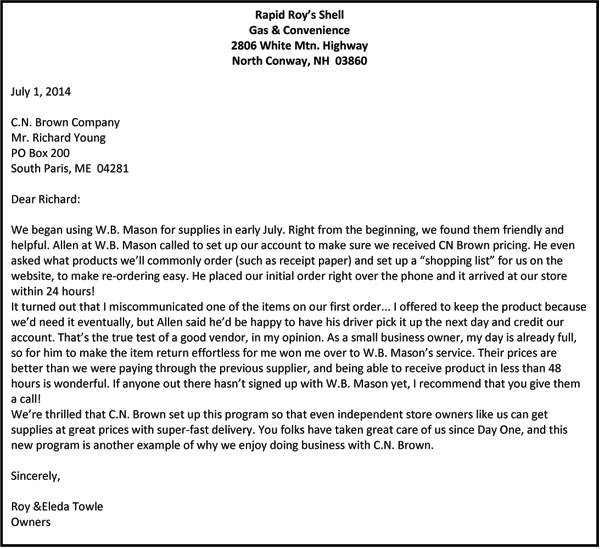 CN Brown as a whole has also proven themselves to be an honest and forthright company to work with. Contrary to my expectations, they have treated me, as an independent, with the same respect and sense of urgency that they treat their company-run stores. In the new world of convenience stores, competition is fierce and if you’re not moving forward, you’re not going to stay in business. When I came in, we modernized by bringing card readers to the pumps and the Shell loyalty program to our customers. High on my priority list is making the store run more efficiently, so I shot for the Moon and asked for LED canopy lights. I really didn’t expect CN Brown to make such a capital improvement for an independent, particularly one that wouldn’t profit them at all, so we were surprised and thrilled when Sparky showed up with the bucket truck this summer and installed new LEDs! If I wasn’t convinced of CN Brown’s morals prior to that, I became a believer that day. As we begin Year 2 in the business, I’m a new person. I see CN Brown as an ally who wants us to succeed, and that gives me confidence to invest more of my own money into the property as well, because I’m now sure that I want to stay here long-term. I have installed LED ceiling lights in the coolers and brighter, more energy-efficient flourescents on the sales floor. 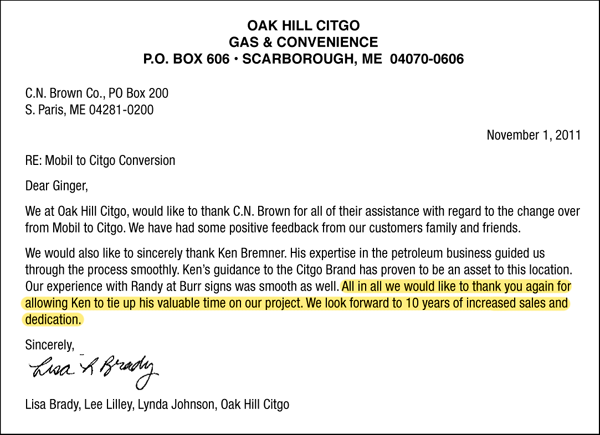 As a result, we’re operating more efficiently, and the improved appearance is garnering us new customers all the time. I am currently working with a contractor to arrange installation of a cooler air economizer (which utilizes outside air instead of compressors during cold days, and could potentially cut our electric bill in half in winter). I’m also working with on getting town approval to keep the pumps on overnight, because of our proximity to the hospital and the 24-hour traffic that generates. And I’m going to shoot for the Moon again this year with a capital improvement request (that this time, WILL directly benefit CN Brown if it’s approved) to equip us to sell diesel fuel. We have requests for diesel nearly every day from the multitude of property management specialists, contractors, and delivery vehicles that come through. A change to mixer pumps would allow us to utilize our third tank for diesel and significantly increase our total fuel sales. It’s been a challenging first year, for sure, but CN Brown, with Richard Young as your representative, has been there for us every step of the way. I’m glad he convinced me to work with CN Brown, and I look forward to a long, mutually-prosperous relationship with your company! 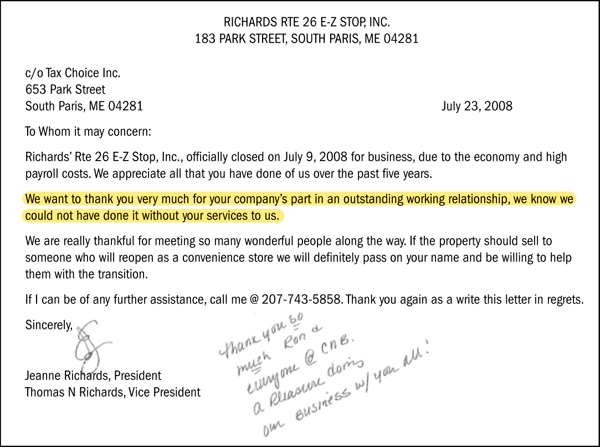 Richards’ Rte 26 E-Z Shop, Inc.